For I Am is ready to show the world their debut full length All About Perspectives". The album comes with twelve songs that range from the upbeat "Home For Summer" and "Laundry Man" to the mellow "(Make It Out) Alive" and features guest vocals by Altitude's Daniël Van Pijlen, F.O.D. 's Hans Roofthooft and Tim Van Doorn. 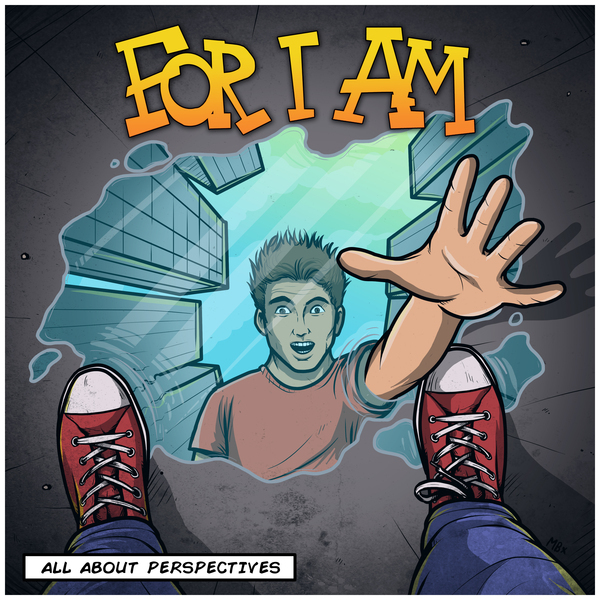 "All About Perspectives" finds For I Am sounding more confident than ever before. They still pack plenty of energy and stay true to their love of big hooks, but they have also grown as songwriters in the past two years, creating an album that will equally attract those with a love of fast punk rock and those with more of a taste for catchy pop punk.